If you've made it this far, you're tired of trying to figure out sales all on your own. You hate the thought of coming across pushy, of not being efficient and of burning through leads without them translating into sales or results. The good news is, there is a strategy to sales and it's time for your to overcome your fear of selling. I am so excited that you are ready to get serious about your sales. With over 15 years with corporate sales experience, working for some of the globe's most well-known brands, I've had the privilege of having access to top-notch, world-class training and practice. With experience spanning many sectors, I know that the systems we implement, our approach and communication skills must be strategic. 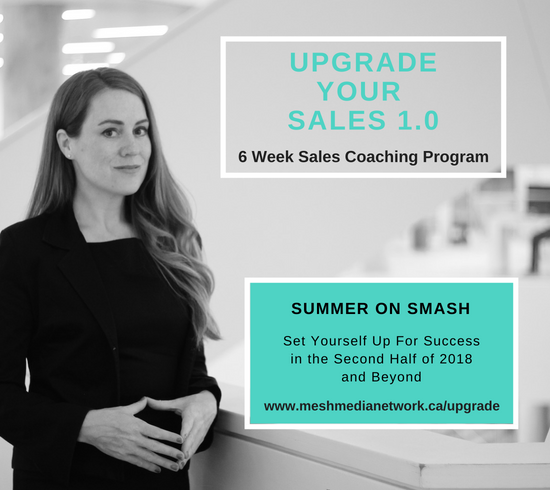 And I have brought it all together for you in our signature 'Upgrade Your Sales 1.0' coaching program. If you are ready to fine tune your sales skills then let me know how to connect with you, and we will be in touch shortly. It's time to invest in yourself and Get Noticed. Get Leads. Close Sales.